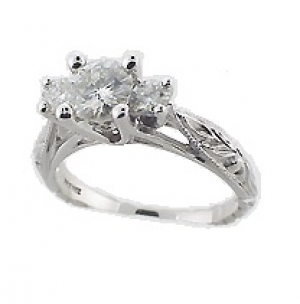 3 Stone Ring Featuring 3/4 carat center w/ .15 ct side stones. from the finest quality CZs) Satisfaction Guarantee! !